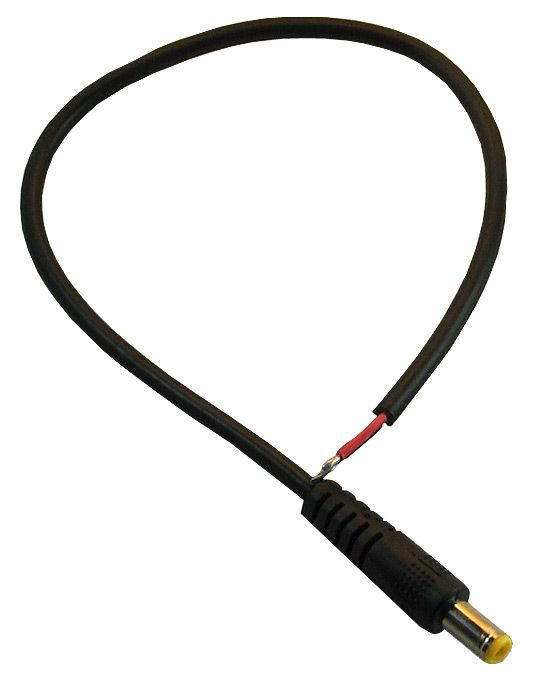 A simple cable that connects power and ground to a female DC plug. It fits the standard Olimex DC barrel jacks. Total cable length: 30cm. Female DC plug properties - 2.1mm inner diameter (hole), 5.5mm outer diameter, 11mm length.